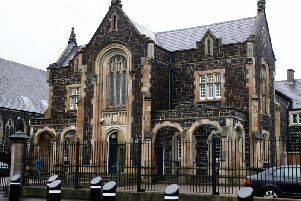 A medical report is due regarding a man who is charged with threatening to kill a priest following a Mass in Carnlough. Seamus Peter Murdock (41), whose address was given as Whitehill Road, Carnlough, appeared via video link from Maghaberry Jail at Ballymena Magistrates Court on Thursday. Murdock faces three charges relating to Sunday April 30 this year in Carnlough. The first charge is making a threat to kill Carnlough Parish Priest Fr Dermot McKay. The second charge is that the accused was ‘in possession of an offensive weapon, namely a Stanley Knife, with intent to commit an indictable offence, namely murder’. The third charge reads that ‘without good reason or lawful authority’ the accused ‘had with you in a public place namely Whitehill Road, Carnlough...a Stanley Knife’. No further details were given in court. There was an alleged incident in Carnlough following Mass at the St John the Evangelist Church. Murdock appeared at the court via video link from Maghaberry Prison, where he was further remanded to. Defence barrister Stephen Law said a medical report is due on his client who is expected to attend Ballymena Court next Thursday.